It is recommended that you have a separate dedicated drive(s) for audio record/playback – it may seem unimportant at first, but believe me it has dramatic effects on the way Pro Tools, or any DAW for that matter performs. Why? Your system drive has to run the operating system and any programs – in our case Pro Tools. If you then burden it to also stream twenty audio tracks in real time, maybe with effects and probably with fades, the drive has to work extremely hard. By utilizing a separate drive for audio recording and playback, you are essentially spreading the load so you should experience fewer error messages and fewer issues with speed. This one’s fairly simple. If you have space for an additional internal drive, I would opt for that. An internal drive is likely to be faster than an external drive as it is connected straight to the motherboard. If however, you have run out of slots or you have a laptop then you should look for a quality external drive. There are hundreds of external and internal drives available, although the majority of them will work just fine, Avid have a few recommendations (updated for PT 10). Solid-state drives aren’t officially ‘qualified’ by Avid, but from experience they do make excellent system drives. Avid also recommend two manufacturers in particular; Avastor HDX/SDX or OWC Mercury Elite-AL Pro. I personally use a G-tech G-Drive which has great connectivity – two firewire 800 (or 400 with an 800-400 cable) ports, one USB 2.0 port and an eSATA port. If you’re feeling frivolous you may even consider a Glyph rack mounted drive. Quick Tip: Go for the fastest and largest capacity drive you can afford. A 7200RPM+ drive is recommended and aim for a capacity of 500Gb+. This is one of the AVID recommended drives and it is not hard to see why – 7200 rpm and fantastic connectivity with two FireWire 800 ports, one USB 3.0 and one eSATA. That means speed – up to 300 mb/s when using eSATA or USB 3.0. Another great feature is the portability and durability of the device; it is really built to be dependable + it looks quite nifty with its aluminum enclosure. As the name suggests, this one was built for the studio. Whether you need USB 3.0, eSATA or FireWire 800, the Glyph Studio can handle it as it supports all these interfaces with transfer rates as high as 184 mb/s (when using eSATA). It has what the manufacturer calls an “intelligent quiet fan” – I am not sure how intelligent it is but it sure is quiet and it keeps the drive and consequently your files safe and cool. As with the OWC drive, the Glyph Studio spins with the AVID recommended 7200 rpm. This is an internal 2.5 inch drive but I recommend that you mount it in an external enclosure that supports connections across multiple interfaces – unless you have an extra hard drive slot. (eSATA, USB 3.0, etc.) As it is a solid state drive it does not have a spinning disk or any moving parts for that matter, thus noiseless. Also, it is impossible to get it fragmented. For writing, the drive can go up to 470 mb/s which is simply off the charts. For reading it goes even higher, 570 mb/s. When you create a new session, all you need to do is make sure that you save the session to your external drive. If you are just buying a new dedicated drive, take some time to create a folder hierarchy to keep your projects organized. Transfer: You cannot playback or record on this drive. Playback: Playback only – you can’t record on this drive but you can listen to sessions. Quick Tip: USB sticks, flash cards and attached USB media will show as Transfer only – don’t expect to record onto your thumb drive, even if it is 20Gb! Earlier I mentioned that you shouldn’t record across different types of drives for the same session, it is fine and in fact recommended to use more than one drive of the same type in some situations. If you get to 24 or above audio tracks, it is commonly suggested to spread the load across multiple drives; this might be a pain for keeping tabs on your project files but it should keep PT happy (having said that, I’ve never had any real issues on the one dedicated drive). It is a good idea to check exactly where your individual tracks are being stored, especially if you have more than one drive. Call up the Disk Allocation window from the setup menu and you can see the source location of each audio track. You can also change the locations (hold Option/Alt to change them all) using the up-down arrow button as shown below. Well that’s enough about hard drives. If you haven’t already done so, get out there and buy a dedicated audio drive and enjoy Pro Tools as it was meant to be enjoyed. Hi question please, I have replace my hard drive to the SSD 1TB SATA, I have the iMac 27 inch OS X El Capitan, I use the Pro tools HD 11. And wen I hit play to the pro tools he keeps stopping and saying to remove some Native plugins but doesn’t make sense because I just have 3 keyboards on this project and using some plugins and I would say 30 tracks. But doesn’t make sense this is happen after I upgrade my Computer. With this Hard drive here will resolve my problem? ?-and why this is happening? Thank you for your help. Thank you for a fantastic article. It has been most helpful! Apologies if the answer to my question is above..
I’m currently configuring the specs for a custom laptop (PC Specialist). The model in question allows two internal hard drives. Currently I plan to have two separate 500gb SSD drives. As advised above, one to run the software and the other to record/playback. My understanding is the size of each is somewhat irrelevant, so long as it has sufficient space to hold the software or project you’re working on. Once you have completed the project, you could move the files to an external hard drive for storage, in which speed is irrelevant as its only holding data. Regular backing up to this external would also be ideal. Is this understanding correct? Again, apologies if the answer is above and I’m being daft! Other useful specs: I7-6700K (4.0ghz), 24gb RAM. I have a 12 core 3.3gHz mac pro 2010 and I’m getting CPU errors, which I’m assuming are related to this drive issue discussed. I have one internal drive only, a 4tb fusion drive. To keep things optimal, would you most recommend a thunderbolt external drive for audio/session files? This would require a thunderbolt card, but I’m ok to buy one of them too. Hi, thanks for this article!! Just a quick question…my protools and all the plug-ins I have is installed on my 250gb ssd card. The ssd is now full because I stored all my sessions and I also have some sessions stored on my I 1tb hard drive as well. But I purchased a owc usb 3 5Tb external drive. What is the best way to transfer all my sessions from the ssd and hard drive into my new storage drive without losing any audio files? I am going to leave pro tools in the ssd. Thanks in advance. When considering thunderbolt drives is there any reason I should steer away from a bus powered TB drive as opposed to one with its own power supply? and do avid still recommend Fw drives for record drives even if I am using a TB to FW adapter as the my new machine no longer comes with FW port? 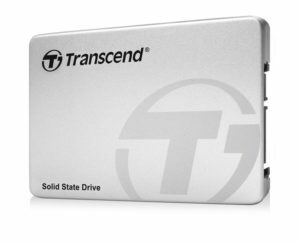 I just want to make sure that i’m understanding everything correctly about what this drive can do, I’ve been experiencing the problem more and more recently that my computer cannot handle all the plug-ins that i’m using in a session, i.e. if i have auto tune on 4 tracks I start getting stuttering until the point that it finally stops playing all together and gives me a CPU error saying to remove some native plugins, now obviously once i remove the plug-ins that use a lot of power (auto tune, slate digital FGX and so on) everything runs perfectly smooth again. so i just want to make sure before purchasing that this will fix my problem, and how after purchase will I need it routed to work properly. Thank you in advanced! and record my sessions to an external Usb 3.0 Raid-1 with 2 Wd Red 2Tb Hd. is possible to use a Raid-1 to keep my projects and plug-ins? I wouldn’t be too sure if I’m being honest, In my previous experience I have had mixed performances from USB drives in comparison to FireWire devices but it may be ok, I would say from the specs of your Mac Mini that it may handle it pretty well by itself, the fusion drives offer great performance and that combined with the QuadCore and 16GB ram should hold up very well. This may be better put in our form where someone else may have tried this previously? Hi ! Thank’s for your article, it was really helpful ! I don’t want to buy a 27″ screen, and 21″ mac don’t come with 7200RPM HD. Then I heard it was better to work with an external hard drive anyway, so if I buy a OWC mercury AL-elite pro, as recommended by AVID, is it a problem if my internal HD only runs to 5400RPM ? And, what should I install on my internal hard drive and on my external hard drive ? It’s maybe a silly question but I don’t want to buy a iMac that won’t allow me to play or record smoothly. Thank’s in advance for your help ! I seem to always run into a high CPU overload when I start adding plug ins such as Nectar and Ozone even when I change the playback settings. I am looking to start using the waves maserati plug ins very soon and dont want to keep running into this problem. What are some things I could do to fix this issue. Would getting a bigger external hard drive fix this problem? I saw someone had mentioned getting a LACIE d2 3TB 7200 RPM. Would that fix the problem? I appreciate your time and help. Nectar and Ozone can be quite processor hungry items indeed and with running a number of other things it can quickly cause your systems CPU to max out. The Maserati plugins are great, the amount of them you load up and use at one time will effect your systems performance however, as with any plug-ins. More RAM would be ideal however on your case it is limited, getting a higher speed hard drive may help your system in terms of reading audio and recording, as we speak about in this article, but may not benefit you so much in terms of CPU help with processing plug-ins. My main bit of advice would be, if you have applied a plug-in and are happy with what it is doing for that bit of audio, then render that down to a new audio track and make the plugin inactive. That way you still have the plugin within your session to reactivate should you wish to make tweaks but it isn’t using resources when you don’t need it to! Hope that makes sense, its a great way to help restricted systems when you no longer want to make tweaks to one plug-in in particular. Thanks for the informative article. I’m just setting up a new laptop with an i7 4810MQ and 16GB RAM with PT11. I plan on installed pro tools to the internal ssd and them to record/playback sessions from a 3TB WD Black SATA 6GB/s 7200RPM 64MB 3.5″ drive connected through a usb 3.0 external SATA enclosure. Considering I’ll be running guitar amp software plugins such as Amplitube and drum software plugins like Superior Drummer 2, which drive would you install plug ins to? Internal, external or a 3rd drive just for plug ins? With 16GB ram on your system along with the strength of the SSD I would say you should be fine on installing the plug-ins to your main computer. Pro Tools won’t be too demanding so you should still find it runs efficiently. Many thank for the swift reply. So there would be no real benefit to installing plugins to a dedicated USB 3 external drive? Would it just be overkill in this case? I’m just trying to make things as smooth as possible first time around without having to delete/reinstall software later on. I wouldn’t say so in your case no, 16GB of ram will most definitely comfortably run Pro Tools without blips and those plugins I would imagine. As always I do recommend that if you have programmed your drums or whatever instrument and are happy with the sound, the bounce what you can down to audio tracks and then make the instrument tracks inactive to give you the most stable session possible. get more RAM. Even Win7 “Home Basic” accepts up to 8 GB RAM. “Home Premium” accepts up to 16 GB RAM and “Professional” accepts up to 192 GB RAM. Great article! Thanks! I recently installed PT 11 on a mid-2012 Macbook Pro 15″ (non retina) with 16gb of RAM. I keep getting “Memory Critically Low” messages, even with 12 gigs of available RAM left. I run a lot of Native Instruments stuff (Komplete Ultimate 9), the samples of which I keep on a USB 3.0 drive. I tried partitioning that drive off and saving there, but keep getting the error. Would getting the LaCie FireWire SSD (I’m out of USB ports) and dedicating it to PT 11 help with my problem? My internal drive is a standard 500gb HD. Thanks for any advice! Thanks for the kind words! The thing with Native Instruments such as Kontakt is that they load all the samples for a given instrument into RAM to give to best performance, so as a start while the samples are stored on the USB drive they will still be pulled onto your systems resources. I don’t think getting a FireWire drive in this situation would benefit you too much as that error message generally relates to RAM. The only thing I can think of off the top of my head which could help is that instruments such as Kontakt feature a button which will purge unused samples, but then again if you have a lot of these kind of instruments running that may not make too much difference. Hey I need some help picking an external hard drive to use I have a home studio where I basically record and do a quick mix before I send it of to professionals. Which type would best benefit me. You may find that the internal drive along could be ok for small projects, if you find it isn’t then you are best looking for a SSD portable drive which has enough storage to handle your sessions. Thank you so much, I’ll let you know. Hi, I’m kind of confused hope you can run me through. I have a 2014 Mac 27″ / i5 Dual Core 3.4hz / 8gb RAM/ Mavericks / and I’m willing to get Pro Tools 11 installed in the internal HD, my question is, a LaCie 7200rpm Thunderbolt External Drive for recording and playback will be enough to run smoothly recording sessions or should I go with a Different one? I’ve read a lot and I want to make the best decision. Also I have Superior Drummer 2.0 can I run it with PT 11 and should I install it in another External Drive? In general It will be a good DAW to produce music? The LaCie 7200 Thunderbolt drive would be perfect for that kind of work and you may have even noticed on their website that they state that Pro Tools will work well with it as well. I would say running Pro Tools from your internal drive and then using that external to record and playback from would be a great setup indeed! I can’t say for sure that Superior Drummer is completely supported by Pro Tools 11 although I would be very suprised if it wasn’t! What I can say is that a plug-in of that kind involves lots of samples being read quickly so can be very processor hungry etc. If all you are running of the internal is Pro Tools itself, I would say start by running the instrument from there and see how you get on, leave the external drive to handle the audio if you plan to run both audio and virtual instruments at the same time, if you don’t then put superior on the external thunderbolt drive and you shouldn’t have any worries. I believe that data drives were originally built to be internal to a computer, esata is the same kind of drive but can be used externally (I believe), the most important aspect (providing it is compatible with your mac) is the read/write speed. I just made the move from PC to Mac and I speced out an older MBP (2011). It has a 2.4ghz i7, 16 gb RAM, 256 SSD, and 750gb 7200RPM drive all built in. I am running the OSX and have all applications install on the SSD. I have heard different takes on where I should be saving the files to and where I should be running the session from. Should all data be on the HDD and strictly running the programs off SSD? I know SSD’s tend to break down much quicker than HDD, but is it true that Pro Tools will run smoother if everything is on the SSD? Firstly I think starting from a SSD drive full stop is a great move, while yes SSD drives do technically break down quicker, this is just down to component differences and at the end of the day these drives are designed to read and write data so I wouldn’t let that influence anything! The HDD you mention running at 7200rpm will happily transfer both audio material as well as running the software itself, but for very top performance it is best to have a dedicated drive that handles running the software and another to handle the reading and writing of the sound, and if you can have them both doing that at a good speed then you are on to a winner. So again I would recommend (if you can) to have the HDD running Pro Tools itself which that drive will do with no issues, and then use the SSD as your audio handler, I would be surprised if you didn’t notice a performance benefit from making these changes, and even if you don’t you should at least see less error messages bobbing up interrupting sessions! Hi there I am in a struggle at the moment for which option of dedicated external recording device to opt for. I am currently choosing between the LaCie 3TB d2 7200 rpm Thunderbolt Drive and the LaCie 256GB SSD Rugged Thunderbolt Drive. Both have thunderbolt connection so the real decision I have to make is between either getting a SDD with less storage space or stick with a spinning drive with more storage. Can you help me decide please, that would be fantastic. Thanks for stopping by! I would say if you can cope with the storage size offered by the SSD then definitely go for that over the spinning drive, the speed difference is very much worth it in my opinion plus with that amount of reading and writing that is going on they are more likely to last as well. Already have a 4tb raid home system. Problems for protools user are different compared to rest. Using MacBook pro. So I want fast transfer (tb), quiet operation (ss), and I guess willing to give up the combo of large capacity/RAID duplication (which I can incorp upon backup). So where is the t.b., ss portable? hi there, my question is about using internal SSD drive of a mac mini, with 16gb ram, so, protools and other software go to ram and then drive record/playback sesion… my max heavy session was 70 channels at 96k in a mac pro, but that was in a studio… now im thinking to buy a mac mini, this is the reason of my question. Thank you for getting in touch, The new mac minis are certainly much more powerful than they were but again it can come down to the processor as well as the RAM etc, it may be worth you reading this SOS article here as it should answer all of your questions http://bit.ly/Trqn2I. well my set up seems stable but in any sense any tips are welcome. i’m running a protools 10 and 11 on a windows 8 laptop Intel i7 16g ram and surprisingly nvdia 670m 3g (no mentions their graphics card which protools does take up some graphics, integrated cards run off ram). the question here is i have 2 internal drive on my laptop both 750g SATA 3 except one is 5400 and 7200 RPM and i also have a lacie 1TB 7200 RPM external drive which combination of drive would be optimal? When you say running the session files from the drive I presume you are talking about running the audio information etc through that as well, not just the actual session? From my own experience, and the experience of many others I have spoken to, I can’t really talk too confidently about running a session from a drive of that kind, while yes USB 3.0 has very reputable transfer speeds in some situations, I would have to recommend firewire of thunderbolt and as preferred option. While yes it may handle things are first, there will very likely be lots of occasions where you session becomes unstable and trust me there’s no worse feeling than getting deep into a session which is then corrupted. If your main focus is portability, I would recommend looking at a firewire SSD enclosure from which you can put in whichever drive you require (give or take the specs of the enclosure), it is cheaper to buy a hard drive ready to be put in an enclosure and there are lots of tidy and compact units out there which would make your system much more stable while being very portable at the same time. Hope this helps, should you have any other questions just fire them over! Hmm, well try NIFTY drive , That should work for your kind of work. Here is the link for that. I have looked EVERYWHERE online and I don’t seem to find a good explanation of actual sustained transfer rates for audio tracks. Would 150MB/s to 250MB/s transfer rate on a duel 5400rpm drive thunderbolt external run 24-48 tracks of 96khz 24bit audio playback while tracking (recording) new tracks? I know my computer can handle this, but I’m not sure a thunderbolt connected duel drive will be able to accomplish this. The drive I am looking to get is the WD My Book Thunderbolt Duo with sustained transfer rates of 150MB/s to 250MB/s depending on raid setup. I think I may get one drive set up with RAID 0 and another daisy chained to it set up for either a back up drive or a RAID 1 to make a RAID 5 combo for drive loss protection. If you could shed any light or share an article that would be awesome! I’m afraid as with the other people who have asked similar questions, I’ll have to admit it is a bit of a grey area. Technically speaking a duel 5400rpm thunderbolt should be able to handle a fair whack of sending and receiving, from past experience, a 100MB/Second transfer rate should handle just over 700 tracks of audio at 24bit/48KHz so in your situation fewer tracks but at a high sample rate should fall even on those statistics. The main factor to consider on top of the read/write speed of the drive is the speed capabilities based on how it is connected to your system, with thunderbolt of course I cannot imagine this would be a problem. I suppose my bottom line on this is that yes, in my mind technically you should be able to run this kind of setup without any issues, BUT I haven;t ever gone to those depths myself so can’t say for sure that it would work for you. I know this answer is a bit vague but can only hope it has helped you a little in the mindfield of these queries? i just buy a rugged Lacie 1T 5400 rpm fire wire 800 can i use it in protools hd 9? Hi Angeli, In terms of compatibility, yes this drive should work without any issues with Pro Tools HD 9, from my experience 5400rpm is better suited to storage and transfer as opposed to running live from it as we discuss in the articles, You are more likely to encounter a jerky transfer in comparison to a 7200 rpm. That being said there is no harm in you trying and see how stable is works with your session. hello. I’m currently running pro tools 9 on my PC and thinking of crossing over to the new Imac 27inch, 3.5ghz i7 with 16gb of ram. I’m staying away from the Fusion drive because I’ve read too many horror stories about their being compatible with Pro Tools. Anyway, my question is: is it wise to upgrade my internal hard drive to a 256gb flash drive, and run my Western Digital 1Tb 7200rpm external drive for the audio? Kinda new to all this so all comments are welcome. cheers. I believe that the arguments as to whether fusion drives are the cause of many DAW issues is still very much in force so we can understand your point! Well as for processing power, an iMac of that spec should handle a fair amount of work thrown at it. As i’m sure you have read from our article, to run most efficiently, it is best to have your internal drive run the Pro Tools software solely, a 256GB will by far be enough store to run the software, and of course the benefit of flash drives is their fast read speeds so you shouldn’t hit any bumps on that front. The only issue with flash drives is that constant reading and writing can cause their lifespan to decrease quicker, an issue you will not have by using a separate external drive to read and write your audio to :). The Western Digital hard drive you mention would be a sensible option for handling the audio side of things, providing 1TB of storage is sufficient which i’m sure it would be! So in roundup, yes! This set up sounds like you could have a nice stable system on your hands for some pretty heavy sessions, should you work on them. just curious as to whether this same principal will work using a Buffalo 1TB MiniStation Thunderbolt/USB 3.0 Portable Hard Drive as the external or similar thunderbolt drive.. running a 2013 macbook pro, retina 512ssd 2.66ghz with 8gRAM, an apogee jam interface in one usb and the ilok in the other so trying to eliminate the need for a USB hub as have 2 available thunderbolt ports.. Any advice would be greatly appreciated. Cheers!! Quick question…..I am about to rebuild my Mac Book that crashed on me almost a year ago and reinstall my Pro Tools but also have Final Cut or Adobe Premier on it this time as well. I have a 1TB external from before….as far as running these programs would you prefer size over speed? i.e. 256-500GB SSD vs 7200 RPM HDD? Hi, As we mention in our article, the idea of using specific hard drives for certain tasks is to reduce the stress on the system doing everything itself. So in answer to your question, size doesn’t play a big picture in the way the software is run, you simply need enough to store and run the program, the speed and size elements come into when you are recording and playing back material which is on a separate drive, leaving the systems main to alone run the program, hope that makes sense. Hi I hope you can help me out with a few questions. So to clarify, an external would be a better option to use than a portable?What about samples, should I have my samples on a separate hard drive, not the one external I’m using for audio? Or can the samples just be on my computers internal. Hi Ali, It depends on your definition of external to portable, the main point to consider is the rate at which the disk drive can be read, the faster rate of reading allows for audio to be read much quicker resulting in smoother running sessions, with technology now days there are some very efficient working external hard drives available which will handle the process with no issues, but where possible if you can make use of an internal hard drive which is connected directly to the computer itself (as opposed to via firewire or USB) this make for the best option. Same for your samples, there are no rules in having your audio being recorded to one device and having your samples on another, the key point we are trying to get across is to keep in mind that your computer is running the Pro Tools software itself so, if possible, try and help it run smoothly by letting it focus solely on the software and let other drives handle the storage.